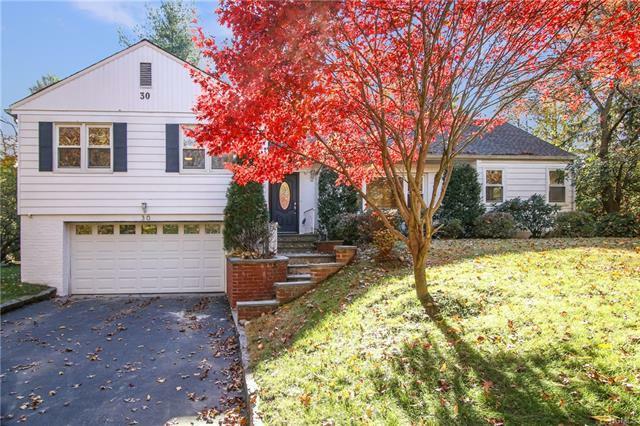 Don&apos;t miss this opportunity to own a beautifully maintained 4 bedroom home on a gorgeous level lot in the sought-after Seely Place side of Edgemont, only a block from Elementary and a short walk to the Edgemont Junior/Senior High School and the Scarsdale downtown and Metro North train. This modern home has ample entertaining space on the first level with a large living room with fireplace, renovated eat-in-kitchen with a dining area with large windows opening into a sunny family room with a door to a covered patio. Two bedrooms with a renovated hall bath and one bedroom with an ensuite bath on the second level and a few steps up to the spacious master suite with a sitting area, renovated ensuite bath and walk-in closet. The lower level boasts a finished playroom with a door to the yard, two car garage, powder room and a storage area with laundry. Enjoy the spacious layout of this home and superb schools and fabulous commute that this neighborhood offers. Roof 2018, hot H2O heater 2017.